“A Man who can kill a hundred men can be a hero....but...a man who can save at least one life is God”. 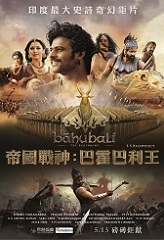 Bahubali is based on the essence of the above lines. 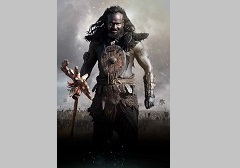 Shivudu (Prabhas) is the actual successor of the kingdom known as Mahishmati. But unfortunately, he becomes a victim of various internal conspiracies. But fortunately, Sivagami (Ramya Krishna) saves him from the cruel hands. Later, he is raised by a tribe on the hills. After growing up into a handsome young man, Shivudu gets attracted to Avantika (Tamanna). Well, who is this Avantika? She is a rebel of a kingdom ruled by Bhallaldeva (Rana). She is in fact shown as a guerrilla-rebel group that fights against the atrocities of the kingdom ruled by Bhallaldeva. 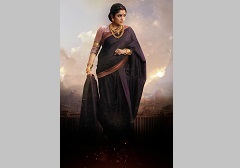 The main target of Avantika is to save Devasena (Anushka) from the hands of Bhallaldeva. Shivudu who falls in love with Avantika takes the responsibility of saving Devasena. 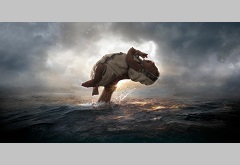 He travels to the kingdom where Devasena is being slaved and tortured. 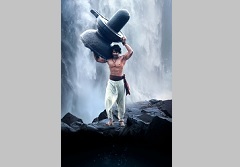 To his surprise, the moment people notice him in that kingdom, they call him 'Bahubali'. 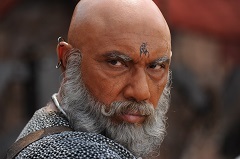 He goes clueless about why people are treating him like god and Shivudu rescues Devasene and After meeting Kattappa (Sathyaraj), Shivudu comes to know about Bahubali and why there is enmity between him and Bhallaldeva. The rest must be watched on the screen.